Looking for affordable and yet professional towing services in Dallas, Texas? Look no further! 360 Towing Solutions is your best bet for dependable heavy duty towing, anytime and anywhere in Dallas. We are one phone call away from giving you towing services at its finest, no matter the nature of your towing needs. We and their network of licensed affiliates specialize in towing and roadside assistance services, but take pride in our excellent heavy-duty equipment and vehicle recovery service that other towing companies are not equipped for. From flatbed towing to long distance towing – we’ve got you covered. Our extensive experience in emergency recovery has an outstanding safety record because we put our clients’ well-being first. 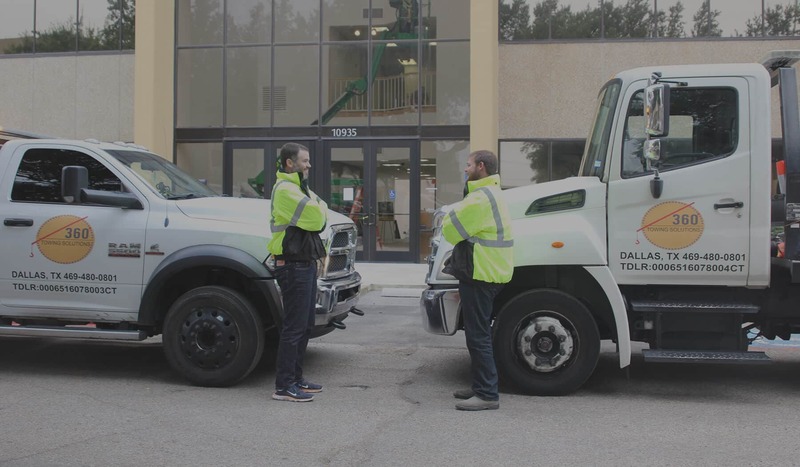 Our fleet of tow trucks are prompt and efficient and reduce on-site time that often results to more costs. That way, we help you save more while you rest assured that the tow job is being taken care of. We and their network of licensed affiliates experts will transport your vehicle or equipment to where you need them to be. 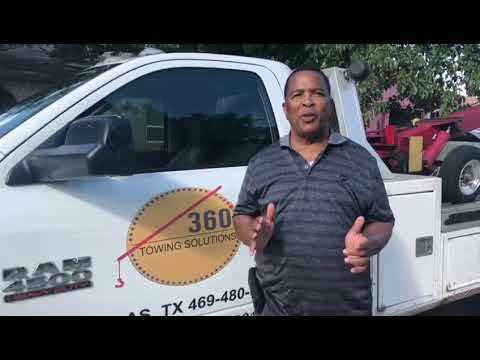 360 Towing Solutions aim to be the first name that comes to mind when you need heavy duty towing in Dallas, vehicle recovery and all kinds of towing you may need. That’s why we are dedicated to giving our very best with each task our customers ask us to accomplish. Our towing solutions are prepared to tow larger, heavier trucks and equipment. We have skilled operators who are continuously trained in the latest technology in towing and equipped with state-of-the-art tools and service trucks. Each one of us is trained to retrieve vehicles or equipment from road accidents or off-road – even underwater. We are ready to take on fire trucks, ambulances, dump trucks and more. Fully licensed by the Texas Department of Licensing and Regulation. 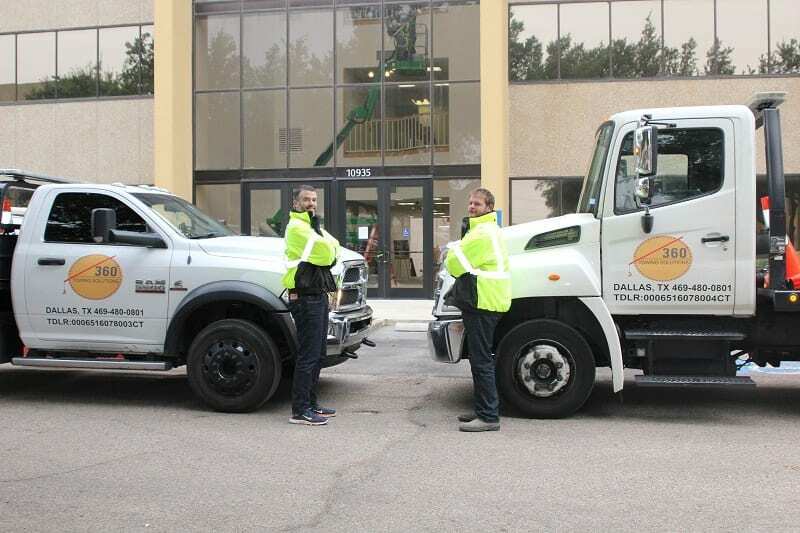 We are proud to serve the city of Dallas with our industry-best heavy duty recovery and towing. -RV, tour bus and coach towing and more! Give us a call and our friendly operators will answer right away. Ask for a free estimate of any towing service you need and give us the details of the job. We’ll make sure not to go over our estimate to keep you from spending more than you’re prepared for. Yes, we and our network of independently owned and licensed affiliates shared no expense in our equipment and service trucks. We also hire only the best in the industry. But we will not let you shoulder the expense when we bill you for any service completed. We maintain the lowest and most competitive rates in Dallas when it comes to towing because we aim to get your 100% satisfaction right down to the bill. There is never a good time for a car breakdown or accident. No matter how prepared we are, when we’re on the road, things can go wrong. Getting stranded on the road in the wee hours of the morning is a hassle. But when you’ve got our hotline numbers handy, we’ll drive over to where you are to tow your vehicle and give you a ride while we’re at it. You won’t have to wait for business hours. We are always open to serve the motorists of Dallas for any emergency towing needs. 360 Towing Solutions is available to serve you 24/7, all 365 days a year. We will load your car and tow it to where you need it to be any time of the day, any day of week – no exceptions. Our ETA is tops anywhere in Dallas, whatever the weather. Our friendly and polite drivers and operators will work quickly and efficiently to recover your vehicle of any type from an accident scene or a breakdown. Our fleet of service vehicles, perfect for heavy-duty towing, composed of tractors, trailers, boom trucks, cranes, flatbeds, tow dolly, dump trucks and more. 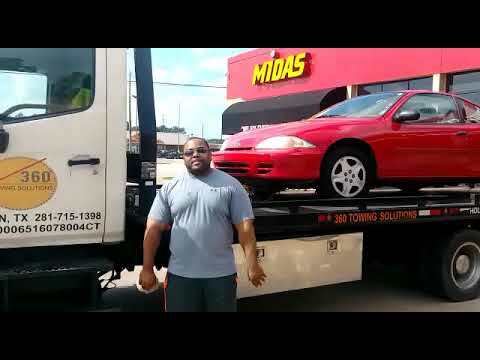 Allow us to help out with your heavy duty towing in Dallas, TX. Call us now for a free estimate! We built this establishment, hoping we can extend help to those who need it. We have been in business for years and have retained close relations with our clients over the years. We also continuously provide superior training to our staff. Trust that our staff knows what they are doing and what to teach you to maintain the good condition of your car.